"Sunflower Cottage" Too blooms with more background paper options so that you can get the most out of creating with this digital kit! Pick which ones speak to you, and begin your creative journey! 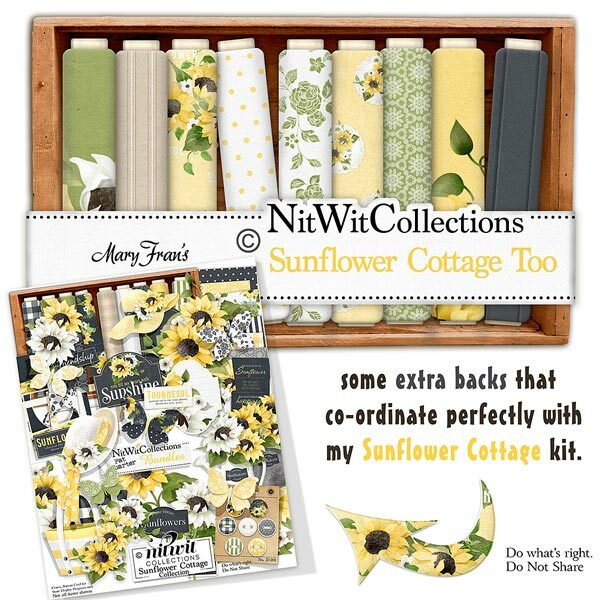 These background papers are NOT included in the FQB "Sunflower Cottage" Collection! 16 Digital background papers that coordinate and colour match my FQB "Sunflower Cottage" Collection.